We are awed and humbled by your story. 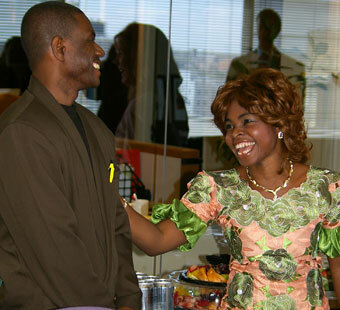 You are known as a nurturing, positive presence in the Liberian Community in Minnesota. The agency you founded, Caring for All, Inc., does just that--provides food, medicine and toys from Minnesota to villages in Liberia and nearby countries, arranges for school sponsorship for Liberian children here, and channels food and other resources to needy families from Africa now living here in Minnesota. 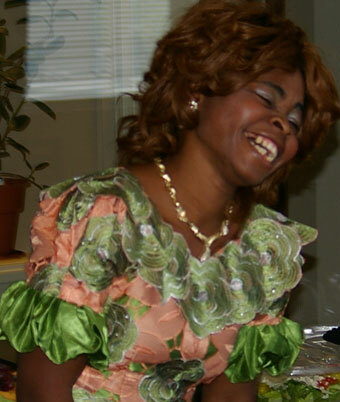 You have also worked through Minnesota Advocates for Human Rights to address the human rights issues affecting the Liberian community in Minnesota. You have been able to achieve this loving, energetic level of activity despite years of homelessness, near orphanhood, refuge camps, hunger and malnutrition, and war and the murder of many close family members. Rather than breaking your spirit, these hardships generated a burning commitment to improve conditions for others and for the Liberian community. The Sullivan Ballou awards recognize and honor heart energy. And that is the source of your work. Despite your own suffering and the difficult straits of many around you, your work is done with a sense of joy and optimism, the kind of emotions only the heart can generate amid hardship. As one of your close colleagues puts it, "I have never seen Vera without a huge smile on her fact and a new plan to help others ready to be put into action." This is precisely the spirit Sullivan Ballou reflected and which these awards honor. It has been a pleasure to learn of you and your work. We hope this award will in some small way affirm for you the rightness of your path and the value of your efforts. We are behind you.